From my research in Slovenia and those in interested in nature, the highlights appear to be caves and mountains. If you only have a weekend, you will need to be spend a day for each. If you have more time in Slovenia, the time would probably best be spent in the mountains or in one of the cities. The base of operations will be the Capital in Ljubljana. You should ideally travel in on Friday night. Postojna and Skocjan Cave Systems are two must-sees in Slovenia. They are located about 40 minutes from Ljubljana. They are both Karst Cave Systems. 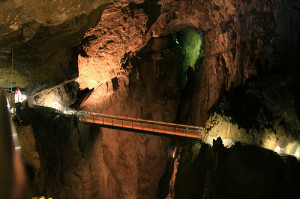 Both caves get phenomenal reviews on TripAdvisor. This represents the common view that Postojna is the more crowded of the two places. People often cited going to Skocjan because it is less croweded and cheaper, but equally as impressive. Reviews for both are fantastic. Most people encourage going to both. They are only 20 minutes from each other and only 40 minutes from the capital. Individuals that don’t go to both spots is because they want to save money. It appears to cost $20 Euro each for guide. You can also easily visit the Predjama Castle built in the 1200s only 5 – 10 minutes from Postojna. 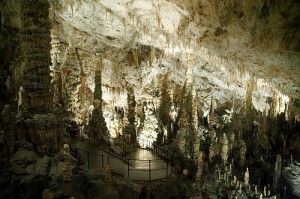 From reviews, each of the cave systems takes a couple of hours. I would confirm schedules of tours, and I would recommend starting early in the morning. Time between Ljubljana and Bled is 40 minutes. I would start my trip in Bled. 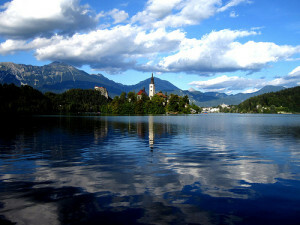 In Bled, there is Lake Bled where a Church sits in the center of Bled Island. It takes about an hour to walk around the lake. To reach the Bled Castle, you will need to hike for 15 minutes from the Lake. If you want to visit Bled Island with the church, then you will need to add another 90 minutes (60 minutes boat ride and 30 minutes at the church. In total, you can expect to spend 3.5 hours to 4 hours in Bled (assuming 45 minutes at Castle). If you are short on time, you will most likely want to skip either the Castle or the Island. After Bled, you can then head to to Vintgar Gorge in Triglav National Park, which is located 10 minutes from Bled. The main hike at Vintgar Gorge is 1.6 km (1 mile). This should only take 2 hours. After Vintgar, I would take the 30 minute drive to Lake Bohinj where the Vogel Cable Car Ride is also located. You can then spend several hours in this location. The itinerary for this very busy day. If you had another day, I would spend the night out in Bled or at Lake Bohinj. I would then continue my drive through Vrsic Pass and do some more hiking before heading baack to Ljubljana. If you wanted to make a complete drive all around Triglav National Park (through Vrsic Pass) would be 4.5 hours or 278 km. It would be a stretch to do this complete trip in one day. You would likely need to only walk around the lake and skip going to the island and skip the castle. One other place of mention is Logarska dolina (Beautiful looking valley) located an 1.5 hours from Ljubljana. It is in a different direction and would likely need to be another day. Giddy up! Slovenia in a Weekend!